bruno is using Smore newsletters to spread the word online. 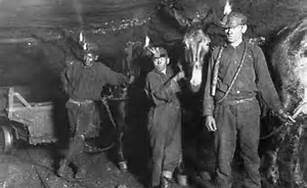 It was extremely dangerous for children to be working in the coal mines.Intensified form, short, wheezing breathing, rapid and coughing, with increasing leanness and debility, speedily make the patient unfit for work.Child laborers suffer extremely high illness and injury rates in the coal mines.the industrial revolution increased demand for iron and coal. Factory workers paid children extremely low wages.They would work on farms and textile mills were their bodies would get weaker and they would most likely get sick from the lint in the air.They were exhausted and sometimes suffered from accidents from the machines.Their was unguarded machinery was a problem for the children in the factories.Little girls from the age of 7 would pick up cotton off the ground with machinery passing over their head,But frentent accidents happened. Working hours were from 12 to 16 hours long six days a week.They could only take breaks when the factory owners gave permission. 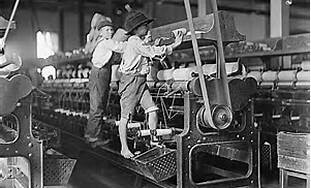 I think that child labor needed to be stopped for several reasons. 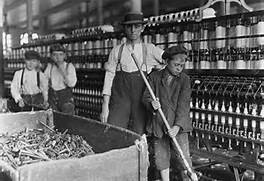 I think that child labor was bad because several child would be injured or died from the work that put into it. I also think that children shouldn't have been working on machinery like that.